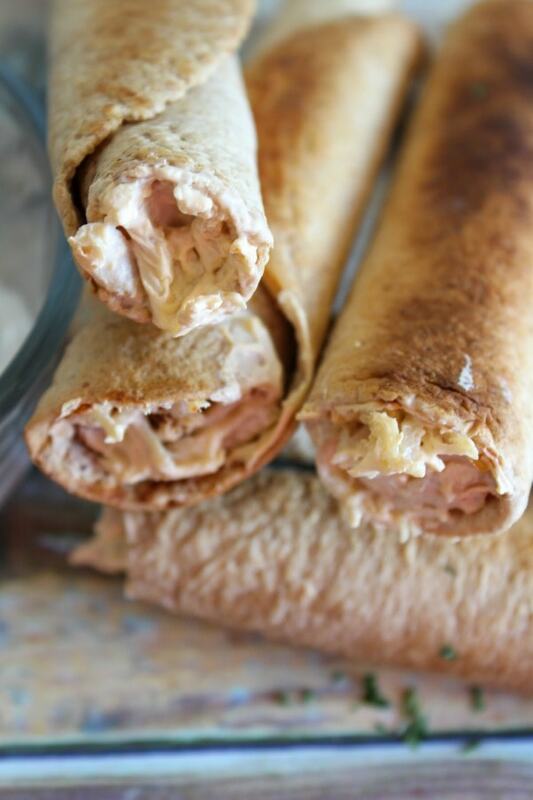 Weight Watchers Buffalo Chicken Taquitos are a spicy baked finger food that is sure to please. This will definitely become one of your favorite Weight Watchers recipes! I have been a fan of spicy foods for a long time now even though my GI tract doesn't always appreciate it, LOL. Buffalo chicken is really popular and what is better than wrapping that yum up into a taquito? 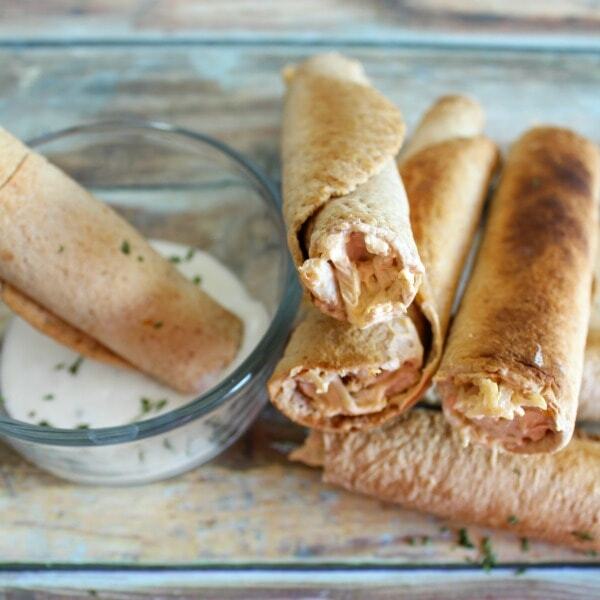 These Weight Watchers Buffalo Chicken Taquitos are only 4 Freestyle Smartpoints each. That is a decent points value for a filling taquito. Pair these with a nice salad and you have a great meal or lunch. If the heat is a little too much for you just add a little less buffalo sauce. 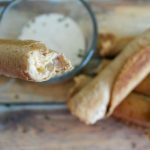 These Weight Watchers Buffalo Chicken Taquitos are really simple to make, especially if you keep boneless, skinless chicken breast cooked and on hand! If you don't have some boneless, skinless chicken breast cooked and cut up then you need to start with that. You can also use rotisserie chicken for this recipe! In a small bowl combine the buffalo sauce and the fat-free cream cheese. Stir or mix until well-combined. Add the chicken to the sauce mix and stir it all together. 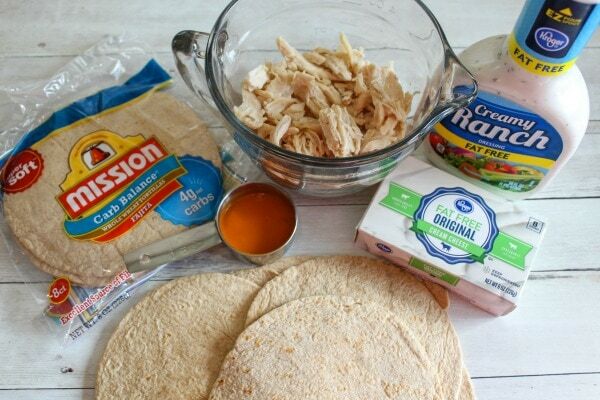 Put 2-3 tablespoons of the chicken mixture into a thin line in the center of one low-carb tortilla and roll up. Place the rolled tortilla seam side down on a baking sheet . Once all the tortillas are on the baking sheet, spray the taquitos lightly with nonstick cooking spray. Bake for 15-20 minutes and then turn the oven to broil for an additional 3-5 minutes or until nice and crispy. Dip in fat-free ranch dressing if desired. 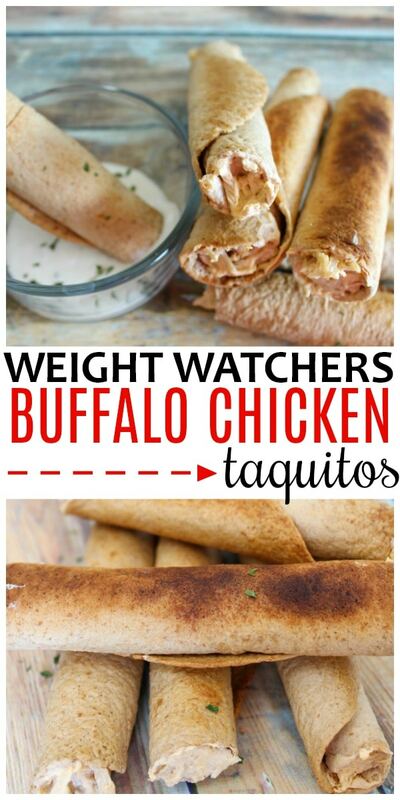 Weight Watchers Buffalo Chicken Taquitos are a delicious, spicy snack or dinner. 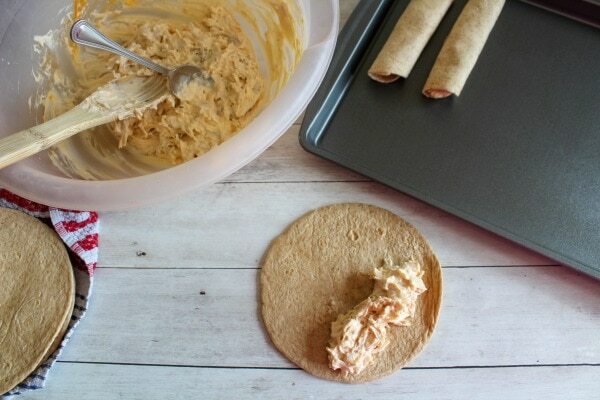 Be sure to PIN this recipe for Weight Watchers Buffalo Chicken Taquitos so you can make it over and over again!